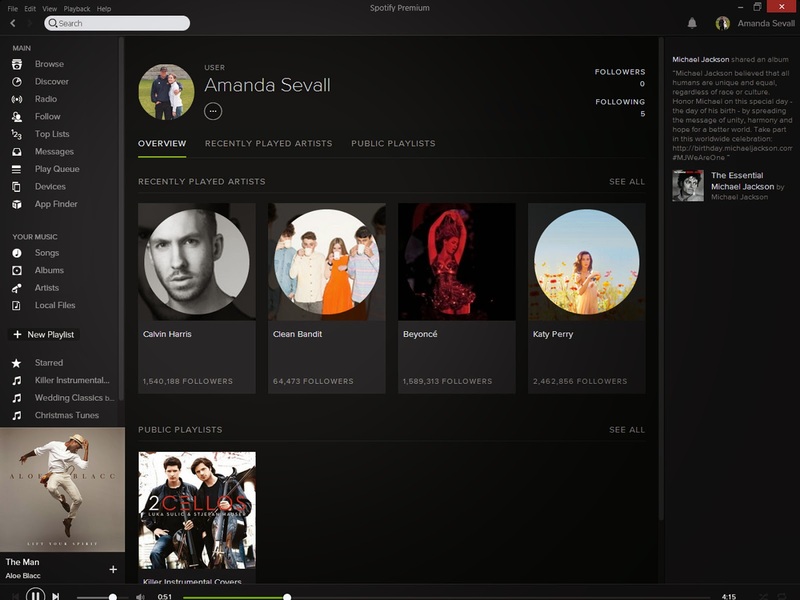 Amanda Sevall Designs: My Newest Obsession... Spotify. First things first.... this obsession is ALL my friend Brianne's fault!! 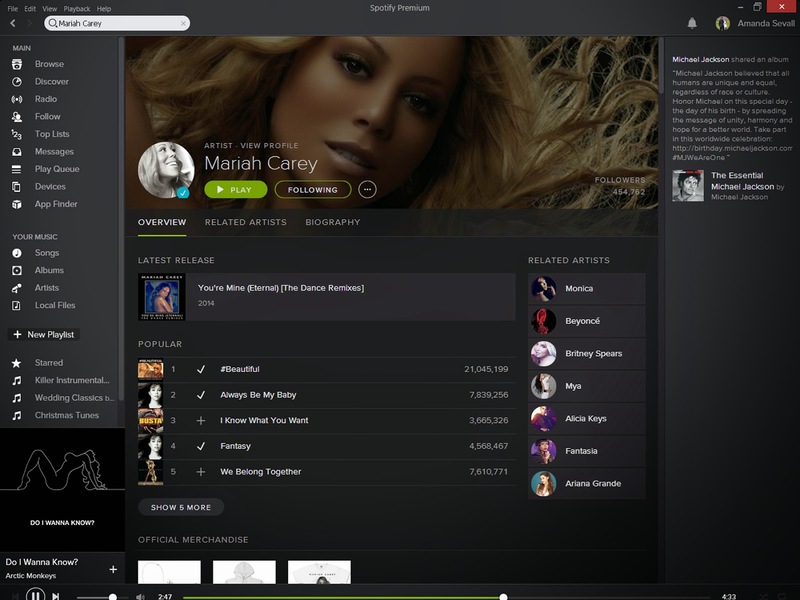 So if you haven't heard of it, you're probably wondering what is Spotify? It's the most amazing thing since Napster if you ask me! You pay a flat monthly fee of $9.99 and you can listen to any song you want, save it, create playlists, listen to radio stations based on genre, browse based on moods, listen to entire albums or just one artist... you name it, it has it. It's AMAZING! Another cool feature is the ability to search by artist. So say, hypothetically, you wanted to listen to Mariah Carey. You search her name, her artist page comes up. You can see every album, every single, every live version she has ever recorded. In order. 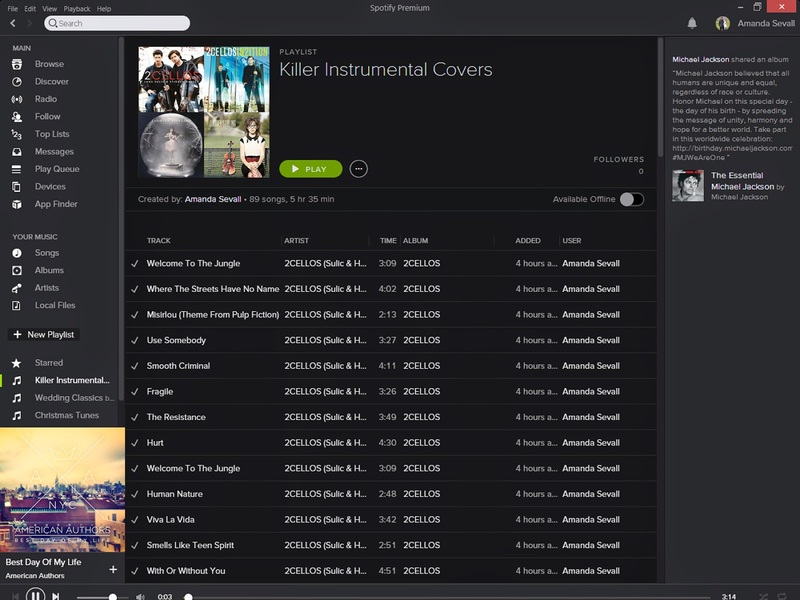 You can save albums, follow her, add songs to your custom playlists. Also, Spotify available in a web browser, as a free player you can download to any computer, as an app on any Apple device (iPhone, iPad, etc)... now for portable devices, you have to download what you want to listen to, but no big deal. I'll be doing this next time I go on a road trip for sure! In fact, I'll probably add a road trip playlist. So yeah, I'm hopelessly addicted. And happy to pay my $9.99 per month once my free 30-day trial expires. 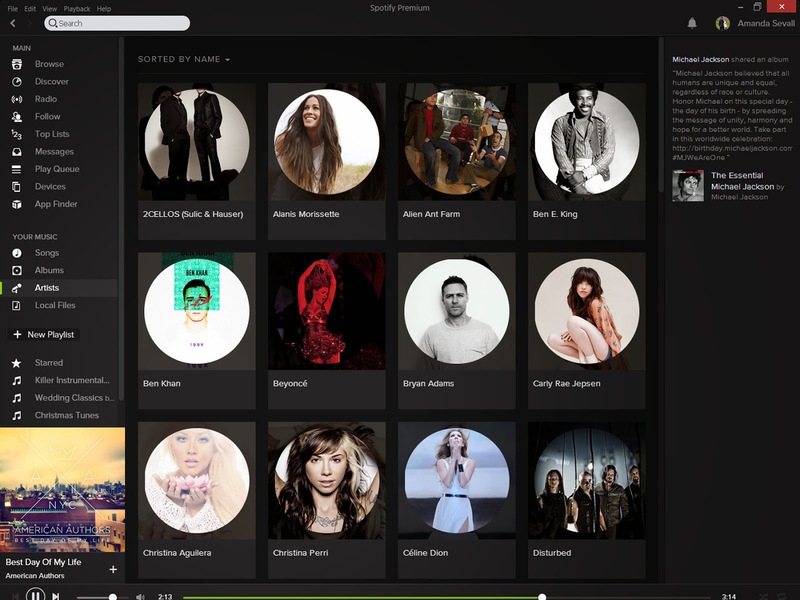 Please note: I am not affiliated with Spotify in any way. I just really love this product! !